An important part of social drinking is having the proper equipment. 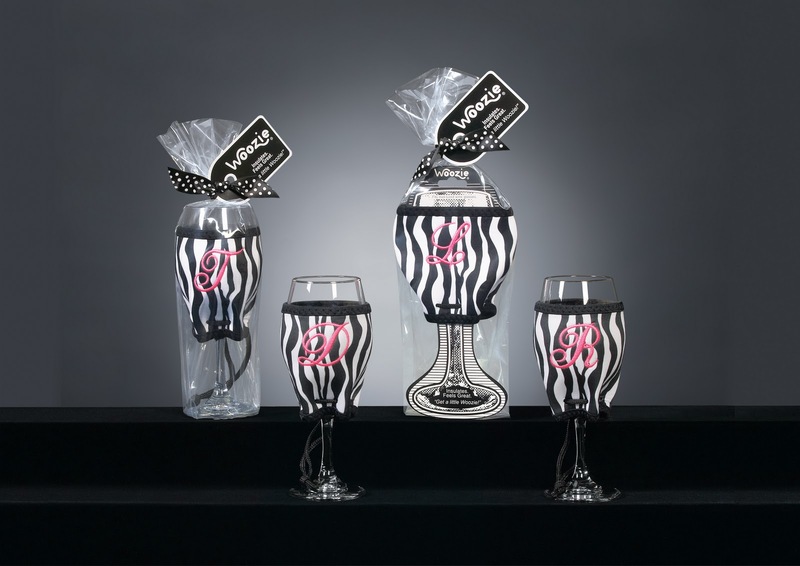 Getting older requires more sophisticated equipment, which, in some cases, requires a little investment; getting the right wine glasses or proper high ball glasses can be a bit costly depending on your tastes. 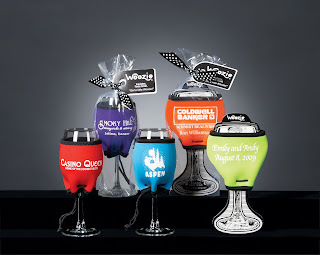 One mainstay in beverage consumption is the ever-present coozie, an inexpensive fix to the problem of cold beverage hands, and much cuter than wrapping a napkin around your beer can. (Or Kozy, or koozie, or whatever, but I like coozie. I think it looks nicer.) Now, a truly innovative and inexpensive drinking aid has come to my attention; I present to you the Woozie: a coozie-inspired wine-glass jacket designed to keep your hands warm and dry. I suppose it's not really proper etiquette to hold a wine glass by the bulb, but honestly after a drink or two who remembers that?? 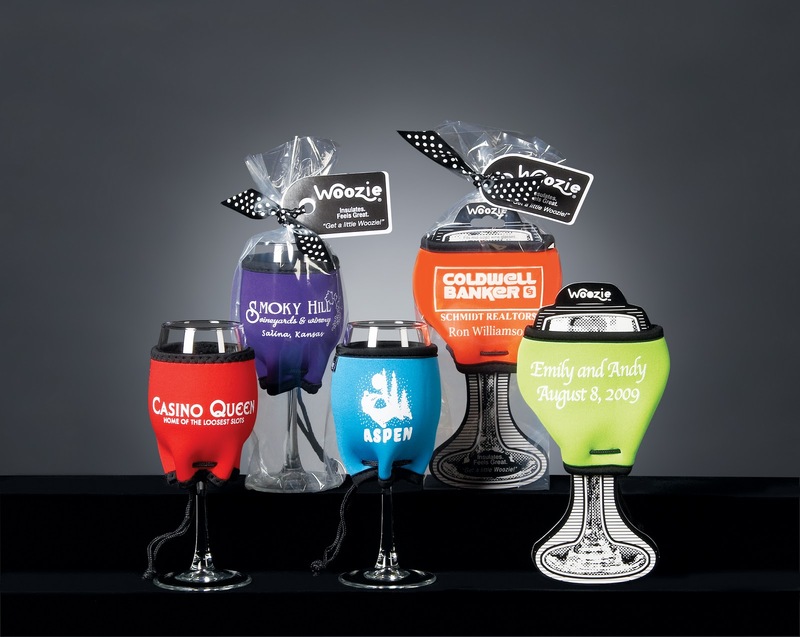 The Woozie operates the same way it's cousin the coozie does, and it is similarly customizable and decorative. 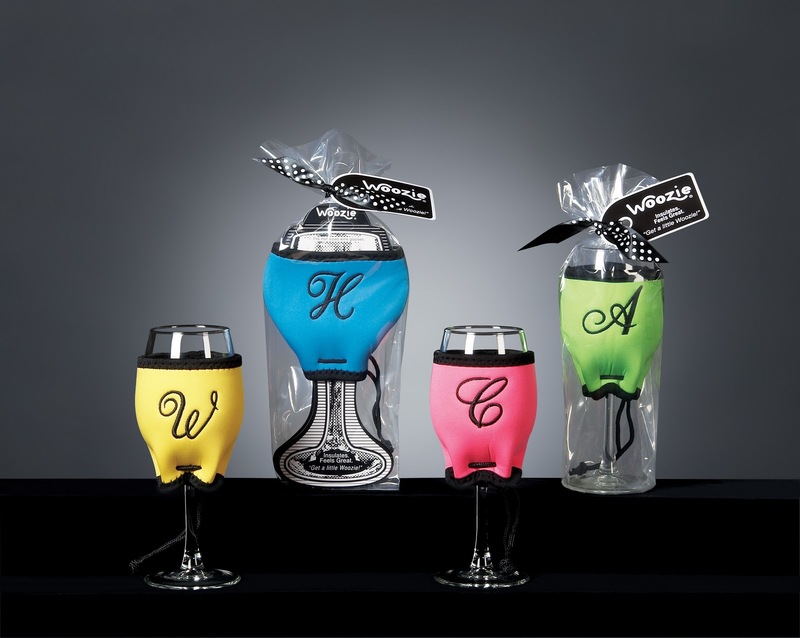 The Woozie was created by a mom who was tired of her wine glass sweating at the beach. She took the problem to her sewing machine, and after several prototypes she arrived at the Woozie. The business is run by Janet Sherron, inventor and innovator extraordinaire, and her family right here in Raleigh. 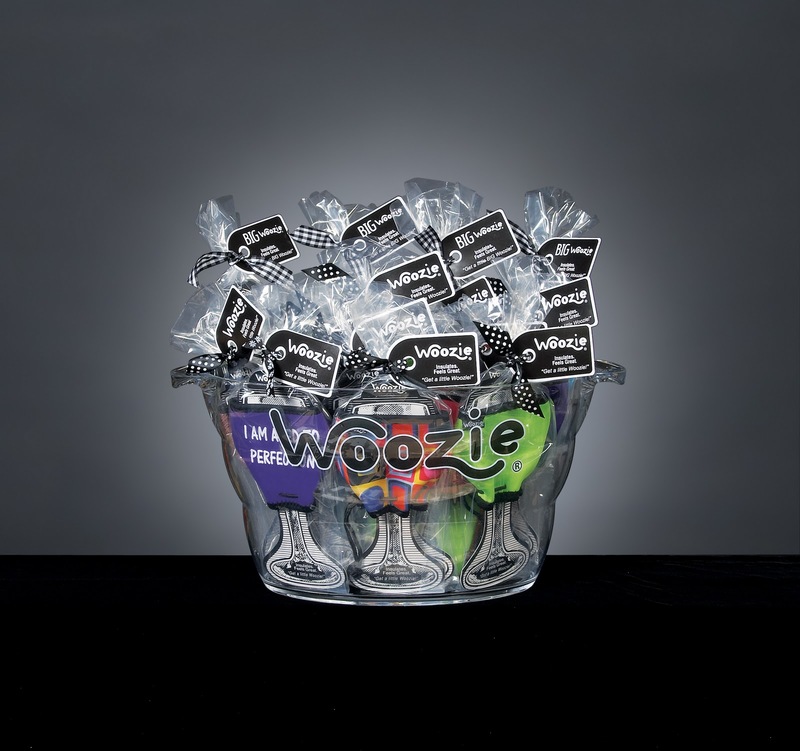 You can buy individual Woozies, or get them in a pack; there's even a Woozie bucket option, an adorable acrylic bucket-perfect for chilling a few bottles-filled with your choice of Woozies. 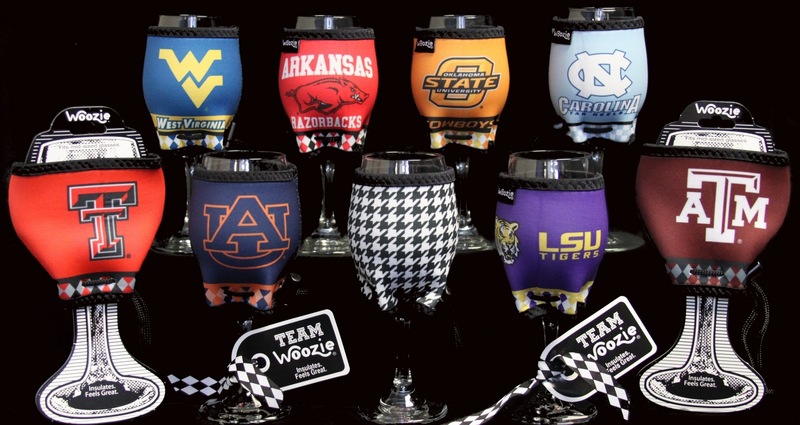 Woozie even have a line of collegiate products, perfect for high-class tailgaters that don't want their game day ruined by sweaty wine glasses. Woozie's would be a great option for a bachelorette/girls' weekend or party favors, perfect for engagements and weddings; you can customize them for any special occasion or even for businesses. Woozie=fun.